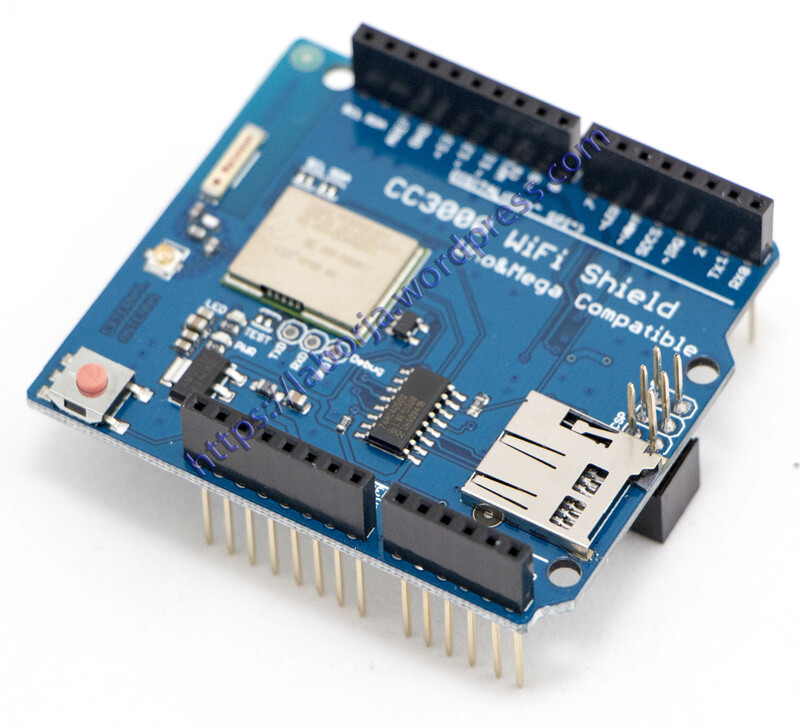 This CC3000 Arduino shield Integrated a onboard LDO, a chip Antenna, and a level logic shifter. It works fine with Arduino or Arduino compatible main board. It uses SPI for communication so you can push data as fast as you want or as slow as you want. It has a proper interrupt system with IRQ pin so you can have asynchronous connections. It supports 802.11b/g, open/WEP/WPA/WPA2 security, TKIP & AES. A built in TCP/IP stack with a “BSD socket” interface supports TCP and UDP in both client and server mode, with up to 4 concurrent socket connections.